Magnetic Resonance Imaging (MRI) is a useful technique for diagnosis of abnormalities that may occur in brain and other tissues. Detection of brain tumors in MRI is a difficult task for physicians. Because they must consider the textural, statistical, morphological and color features of the MR images at the same time to determine the tumors. In this paper, a robust brain MR images classifier based on hybrid features by using Ensemble Neural Network (ENN) is proposed. To increase the robustness of the classifier textural, statistical and color features were used as input to the ENN model. The main advantage of proposed method is reducing image dimension and using ensemble neural networks method to increase accuracy. This ensemble based method combines the base classifiers predictions to increase the proposed model performance and evaluated accuracy and AUC values are 98.70 %, 0.976, respectively. These results were compared with the other methods in literature. Nabizadeh N, Kubat M (2015) Brain tumors detection and segmentation in MR images: Gabor wavelet vs. statistical features. Computers & Electrical Engineering vol. 45, pp.286–301. Aslam A, Khan E, Beg MMS (2015) Improved edge detection algorithm for brain tumor segmentation. Procedia Computer Science Volume vol.58, pp.430–437. Ain TS, Jaffar Q, Choi MA (2014) "Fuzzy anisotropic diffusion based segmentation and texture based ensemble classification of brain tumor. Applied Soft Computing vol.21, pp.330–340,2014. Available Online: https://en.wikipedia.org/wiki/Anatomical_. Accesed 16 October 2016	Shanthakumar P, Ganeshkumar P (2015) Performance analysis of classifier for brain tumor detection and diagnosis. 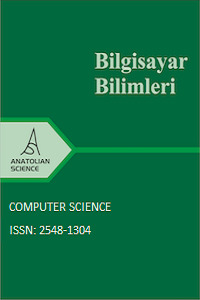 Computers & Electrical Engineering vol.45, pp.302–311. Chandra GR, Rao KRH (2016) Tumor detection in brain using genetic algorithm. Procedia Computer Science vol.79, pp.449–457. Ain Q, Jaffar MA, Choi TS (2014) Fuzzy anisotropic diffusion based segmentation and texture based ensemble classification of brain tumor. Applied Soft Computing vol.21, pp.330–340. Nabizadeh N, John N, Wright C (2014) Histogram-based gravitational optimization algorithm on single MR modality for automatic brain lesion detection and segmentation. Expert Systems with Applications, vol.41, pp.7820–7836. Ghanavati S, Li J, Liu T, Babyn PS, Doda W, Lampropoulos G (2012) Automatic brain tumor detection in Magnetic Resonance Images. 9th IEEE International Symposium, Barcelona, Spain. Maiti I, Chakraborty M (2012) A new method for brain tumor segmentation based on watershed and edge detection algorithms in HSV colour model. Computing and Communication Systems (NCCCS), 2012 National Conference on, Durgapur, India. Praveen GB, Agrawal A (2014) Hybrid approach for brain tumor detection and classification in magnetic resonance images. 2015 International Conference on Communication, Control and Intelligent Systems (CCIS), Tehran, Iran. Al-Azzawi NA, Sabir MK (2015) An superior achievement of brain tumor detection using segmentation based on F-transform. Computer Networks and Information Security (WSCNIS), Hammamet, Tunisia. Araújo MC, Lima RCF, De Souza RMCR (2014) Interval symbolic feature extraction for thermography breast cancer detection. Expert Systems with Applications vol. 41, pp.6728–6737. Pereira DCR, Ramos P, Nascimento MZ (2014),"Segmentation and detection of breast cancer in mammograms combining wavelet analysis and genetic algorithm", Computer Methods and Programs in Biomedicine vol: 114, pp.88–101. Mohanalin J Beena mol M (2014) A new wavelet algorithm to enhance and detect microcalcifications. Signal Processing vol. 105, pp.438–448. Alpaslan N, Imik O, Hanbay D (2016) Breast Mass Classification in Mammogram Images Based on Wavelet Transform. International Conference on Natural Science and Engineering (ICNASE’16), Kilis, Turkey. Zhang X, Zhao H, Li X, (2016) A multi-scale 3D otsu thresholding algorithm for medical image segmentation. Digital Signal Processing vol.60, pp.186–199. Zahedi M, Rahimi M (2016), 3-D color histogram equalization by principal component analysis. Journal of Visual Communication and Image Representation vol.39, pp.58–64,2016. Ari A, Hanbay D (2016) Detection of Brain Tumor from the MR Images by Using Hybrid Features". International Conference on Natural Science and Engineering (ICNASE’16) , Kilis, Turkey. Ari A, Alpaslan N, Hanbay D (2015) Computer-aided tumor detection system using brain MR images. Tıp Teknolojileri Ulusal Kongresi (TIPTEKNO’15), Bodrum, Turkey. Zhao C, Qiao S, Sun J, et al. (2016) Sparsity-based shrinkage approach for practicability improvement of H-LBP-based edge extraction. Nuclear Instruments and Methods in Physics Research Section A: Accelerators, Spectrometers, Detectors and Associated Equipment vol. 825, pp.1–5,2016. Kaya Y, Ertugrul OF, Tekin R (2015) Two novel local binary pattern descriptors for texture analysis. Applied Soft Computing vol.34, pp.728–735. Sengur A, Guo Y, Akbulut Y (2016) Time–frequency texture descriptors of EEG signals for efficient detection of epileptic seizure. Brain Informatics, vol.3, pp.101–108. Arabi PM, Joshi G, Vamsha Deepa G (2016) Performance evaluation of GLCM and pixel intensity matrix for skin texture analysis. Perspectives in Science, vol.8, pp.203. Malegori C, Franzetti L, Guidetti R, et al., (2016) GLCM, an image analysis technique for early detection of biofilm. Journal of Food Engineering, vol:185, pp.48–55. García M, Ródenas J, Alcaraz R, et al.,(2016) Application of the relative wavelet energy to heart rate independent detection of atrial fibrillation. Comput Methods Programs Biomed, vol.131, pp.157–168. Colak MC, Colak C, Kocaturk H, et al., (2008) Predicting coronary artery disease using different artificial neural network models. Anatol. J. Cardiol. vol.8, pp.249–255,2008. Marshall JA (1995) Neural networks for pattern recognition. Neural Networks, vol.8, pp.493–494. Hanbay D, Turkoglu I, Demir Y (2010) Modeling switched circuits based on wavelet decomposition and neural networks. Journal of the Franklin Institute, vol.347, pp. 607–617. Suykens JAK, Vandewalle J (1999) Least Squares Support Vector Machine Classifiers. Neural Processing Letters, vol.9, pp.293–300. Firat F, Arslan AK, Colak C, et al., (2016) Estimation of risk factors associated with colorectal cancer. an application of knowledge discovery in databases. Kuwait Journal of Science, vol.43, pp.151–161. Rafiq MY, Bugmann G, Easterbrook DJ (2001) Neural network design for engineering applications, Computers & Structures. vol.79, pp.1541–1552. Available Online: www.brainweb.org Accesed 17 May 2017. ISNAD Arı, Ali , Hanbay, Davut . "An Expert Systems for Brain MR Images Classification by Using Ensemble Neural Network". Anatolian Science - Bilgisayar Bilimleri Dergisi 3 / 2 (September 2018): 44-56.